A Valentine’s Day Gift is Yours! 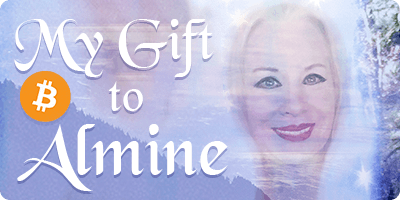 As a Valentine’s Day gift for her Lightfamily, Almine would like to express her love for you by offering a $15 gift certificate towards your jewelry order, including Anchor rings and Rune Master’s cuffs. This offer is valid on orders received during the month of February. A coupon code is posted on the Seer’s Gems webstore. If you are able to visit the shop in person, stop in and enjoy some chocolates as you choose one of our world renowned fragrant oils, or an exquisite piece of jewelry from our superb selection. Greatful to receive this gift Almine…..I love all of it !!!!! Oh, the jewelry is a reminder for me and for so many of the light family probably! that Almine can very much enjoy this and even more so in another reality.